In the wake of Guardians of the Galaxy, director James Gunn had introduced young fans to a generation of music that many people recognized but had probably never heard of. With Volume 2 hitting theaters in 2 weeks (and the premiere happening today) fans have largely been in the dark. 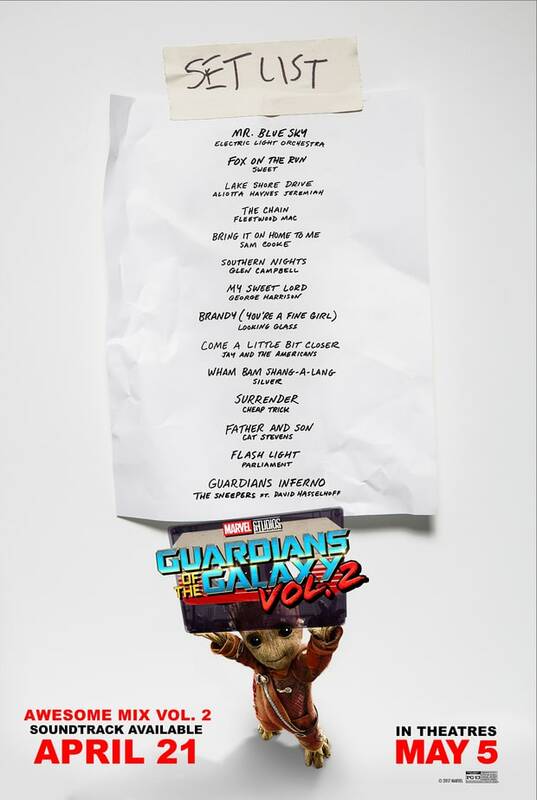 Thanks to Rolling Stone fans have a look at the track list for volume 2, a pivotal plot point for Peter Quill at the end of the second film. 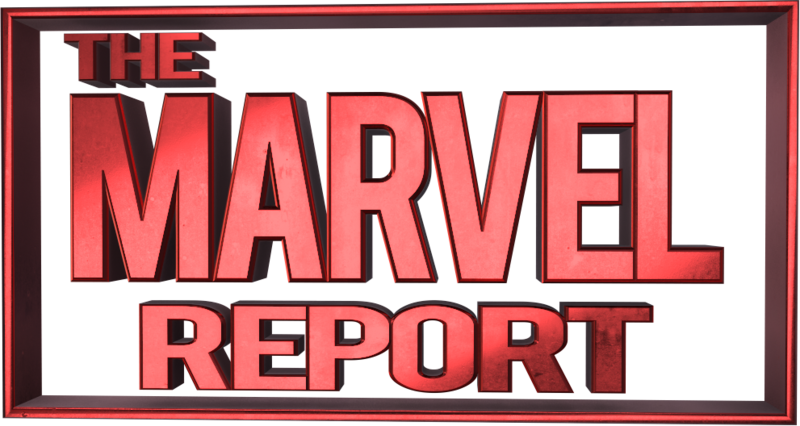 According to the director, Marvel employees sent him notes saying “Nobody is going to want to hear this music” Despite concern, Volume 1 was a platinum chart topper, as well as fitting tribute to Meredith Quill’s taste in music – something that motivates Gunn through the creation of these awesome mixes. “One of the most exciting things” Gunn was quoted as saying, “Was knowing that I would be making bands that have been forgotten a topic of conversation again.” Indeed from songs like “Wham-Bam-Sham a Lam” by Silver to “My Sweet Lord” by George Harrison to “The Chain” by Fleetwood Mac (which features in the trailers) Gunn’s bigger budget is showing in all the right places. Each bandmember from Fleetwood Mac even got to experience the scene where “The Chain” was featured, proving that Gunn not only will use the music to shape the story but that he respects where the musicians are coming from. Gunn for his part has never gotten sick of the songs of the Guardians soundtracks. They give him a sense of Meredith Quill and by proxy a sense of Peter. The director then delved deep into the inspiration behind each track taking Rolling Stone and fans behind the scenes of his process. This comedic original, co-written by Gunn and score composer Tyler Bates, is meant as a sort of Guardians take on Meco’s disco Star Warstheme. Gunn is particularly proud of a line that rhymes “procyon lotor” – i.e., “racoon,” as in Bradley Cooper’s Rocket – with “motor.” They recruited David Hasselhoff as vocalist largely because he’s supposed to be one of Peter Quill’s childhood heroes. Check out the track listing, give them a listen and tell us what you think in the comments below. Guardians of the Galaxy Vol 2 drops April 21rst and the film hits May 5th 2017.